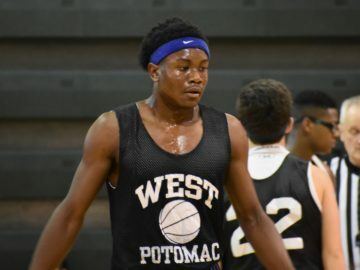 West Potomac's Daryl Mackey, Jr. could always score as needed, now he's stronger and can do other things extremely well in addition. 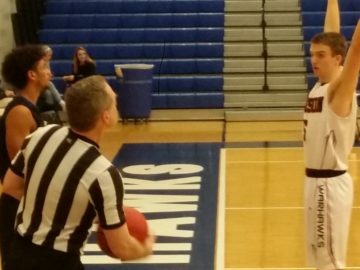 Gunston District Boys Preview: Is West Po’s height the difference? 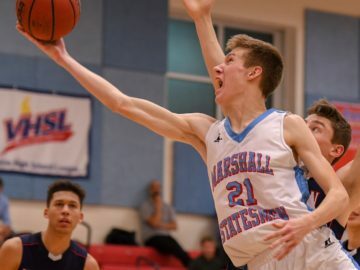 Marshall's Joseph Lampman is known around the region as a hard worker. His (and others') efforts are paying off this year. 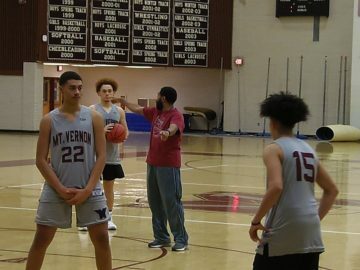 Coach Lou Golden instructs TJ Horton (front) Jason Lewis (back) and Myron Davis (right) on the particulars of the offense. 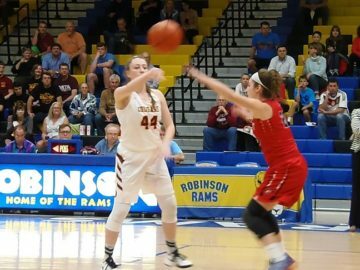 Oakton's Delaney Connolly dishes in the first half of Saturday's victory over Patriot. 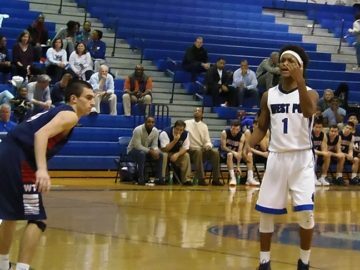 Wolverines senior guard Khalil Williams-Diggins (19 points) calls for the screen on Woodson's David Promisel.